Markham, ONT, February 7, 2019 – In a surprise ceremony held in Scarborough, Ontario, Lenovo announced the winner of its first-ever Visionary Teachers Contest. 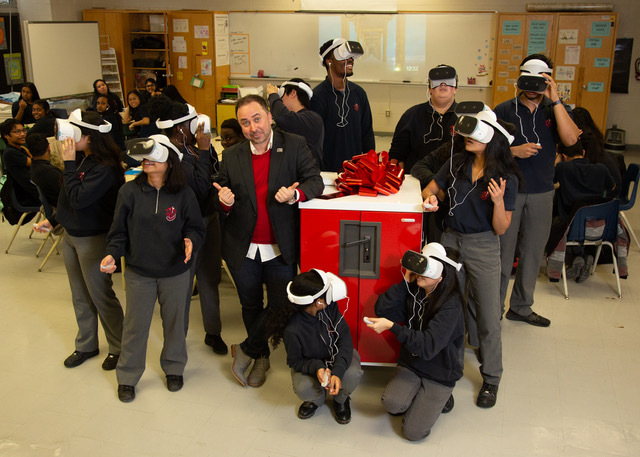 Jean Vanier Catholic Secondary School teacher, Nicholas McCowan, won a 10-pack Lenovo Virtual Reality Classroom kit for his inspiring submission that focused on ways the technology can offer enhanced learning opportunities and support the cultural diversity of his students. As part of the Lenovo Visionary Teachers Contest, teachers across Ontario were asked to share a written submission explaining how Virtual Reality (VR) would help elevate their teaching and the importance this new technology has in the classroom. Over 140 entries from across Ontario were reviewed, and it was Scarborough’s Nicholas McCowan whose submission captured one of the genuine benefits VR technology can offer teachers and students. With many of McCowan’s students being new to Canada, his winning submission highlighted the socioeconomic limitations they face, along with the challenges associated with assimilating to a new country. He expressed how, through immersive experiences, his students can learn about the individuals sitting next to them, and why this will connect a classroom, increase participation and lead to better inclusion and engagement. 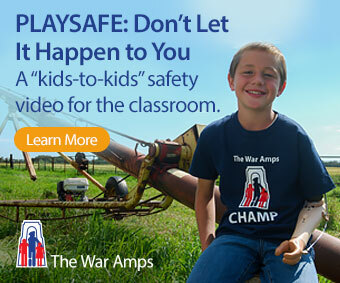 Along with bringing worldwide learning opportunities straight into the classroom, Nicholas highlighted the demand for experiential learning tools and how this is essential in today’s digital age for maintaining student engagement in the classroom. Lenovo has also gifted the three runner-up teachers; Kim Barnes from Korah Collegiate & Vocational School, Sault Ste. Marie Ontario, Mary Jeffries from Simcoe Shores Secondary School, Midland, Ontario and Eric Timm from W.F. Herman Secondary, Windsor, Ontario with one VR headset, so their students can experience the world of VR and utilize the learning capabilities of the kit. Designed for Classrooms The Lenovo VR Classroom Kit is the first of its kind to be created specifically for use in the classroom for students grades 7-12. The kit, which come in three, ten or 24 packs, allow teachers to take students through lesson plans simultaneously and is made to be disinfected after each use. VR experiences are delivered using Lenovo’s first standalone Mirage Solo, the first all-in-one wireless VR headset with Google Daydream, which means no tethered cables, PCs or smartphones, a hand controller for increased interactivity, motion-tracking technology and 110-degree field view so that students can more freely discover the world around them. News Release courtesy of Lenovo.